To lift the 18-acre riverfront project site out of the flood plain, The Banks Public Partnership built the infrastructure to support new mixed-use development at street-level, thereby re-connecting the riverfront to the central business district north of Third Street and spanning Fort Washington Way. 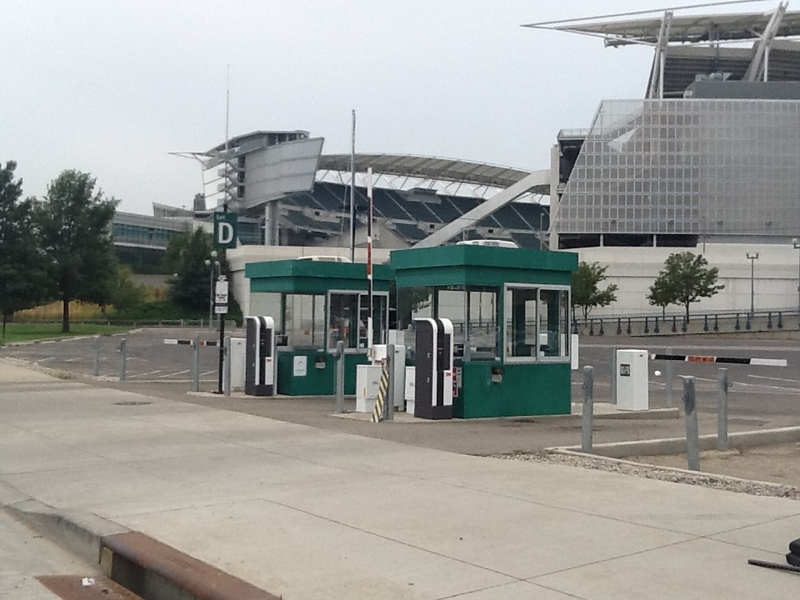 As a result, over 7,000 parking spaces are now available in garages and surface lots at The Banks. Owned by Hamilton County and operated by Central Parking, the Central Riverfront Garage spans five city blocks between Broadway and Race Street and accounts for over 3,300 of the total number of spaces available. 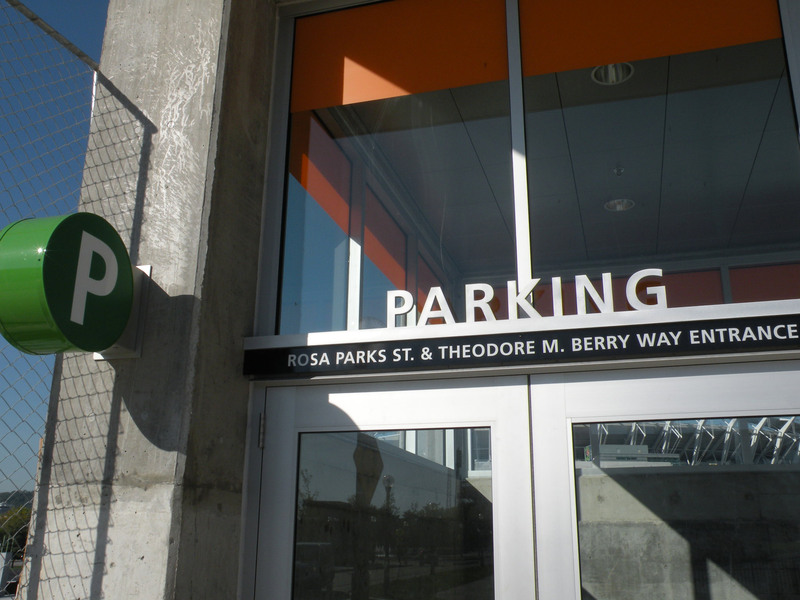 HOV (High Occupancy Vehicle) parking is available Mon-Fri, 6 am to 10 am, at 124 East Mehring Way for cars with 2 or more occupants. HOV customers should ask the attendant for a daily HOV parking permit which will enable parking in the preferred HOV parking spaces. Standard parking rates apply. Click on a marker below and map your way to any entrance to Central Riverfront Garage and surface lots at The Banks. 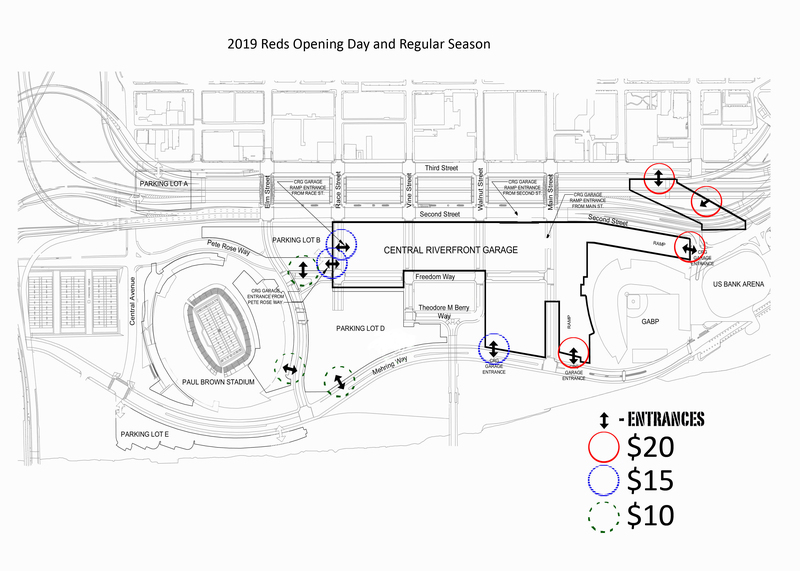 Reds: Parking available all day. 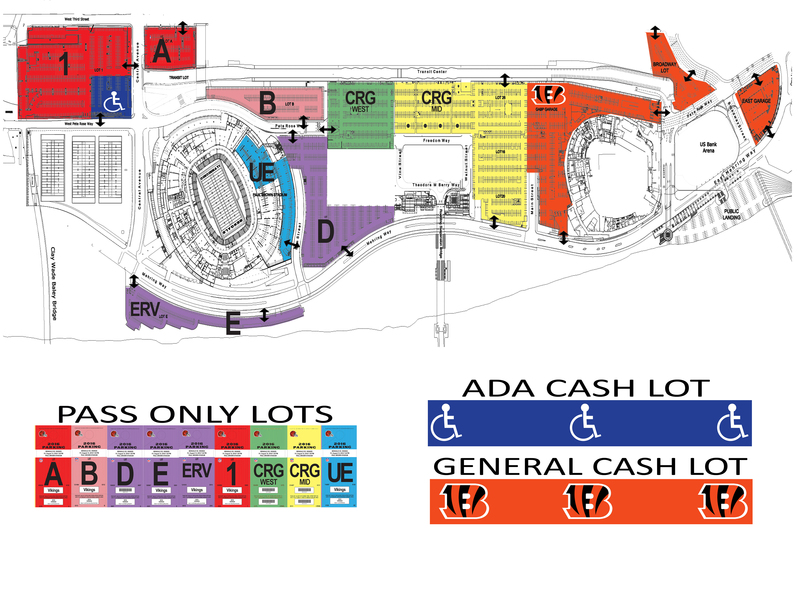 Bengals: Parking available all day.